Leading opposition coalition politicians exposed a number of corrupt dealings carried out by the current Maldivian administration while in exile, says former Maldivian President Mohamed Nasheed. Nasheed made the comment during a guest lecture at the SOAS University of London last Friday. Nasheed said that he had the support of the world’s largest democracies and the European Union who advocated for his freedom despite being treated by the Maldivian President Abdulla Yameen Abdul Gayoom’s administration as a major criminal. He described the political environment of Maldives the past five years as being full of danger. He said the biggest assistance to politicians living in self-exile to restore democracy to Maldives was lent by Sri Lanka and the UK. “We used our freedom in Briton to meet with other political exiles from the Maldives. We exposed the human rights abuse happening back at home. We hired auditing firms to look in detail at what Yameen’s regime was up to. We gathered evidence showing President Yameen’s involvement in corruption and possibly murder,” said Nasheed. He said that those advocating for a change in Maldives had formed a coalition which defeated President Yameen at the elections. 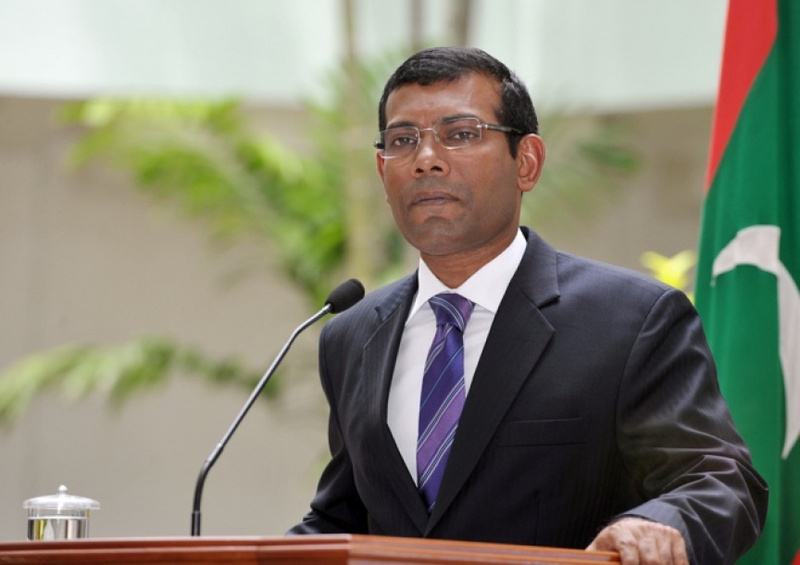 “On election day, all political leaders were either in jail or living in exile," said Nasheed. Nashee has a 13-year prison sentence issued against him for the illegal imprisonment of former Chief Judge at Criminal Court, Abdulla Mohamed. He obtained permission from the Maldivian administration for medical treatment in the UK, and later obtained political asylum from the UK. Nasheed is scheduled to travel to neighboring Sri Lanka this Saturday. He has announced the intention of returning to Maldives on November 1. "MDP must use its majority at Parliament with wisdom"
"Maldivian women forced into prostitution in Syria"
"This is the end of Rolex watches and diamond rings"